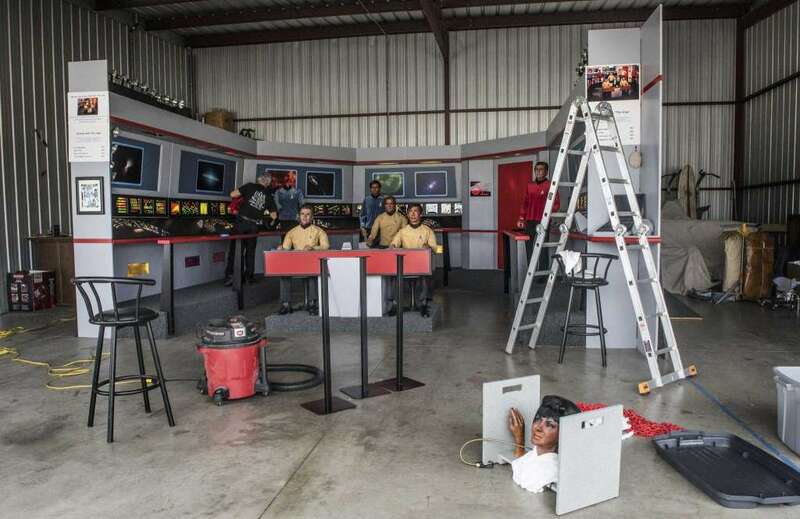 LOS ANGELES (AP) — The starship Enterprise has a new five-year mission: to boldly go and raise money to help a quirky museum live long and prosper. 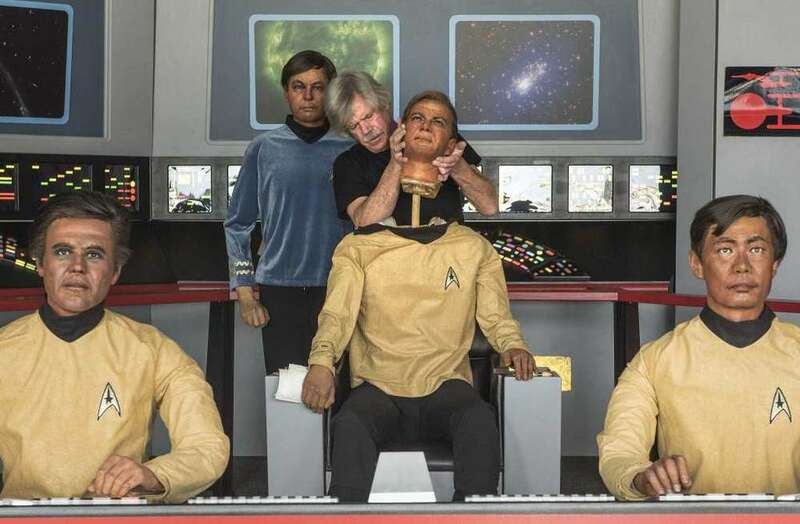 The Hollywood Science Fiction Museum recently took possession of life-sized wax figures of all seven crew members from the original "Star Trek" TV series, including Capt. Kirk. 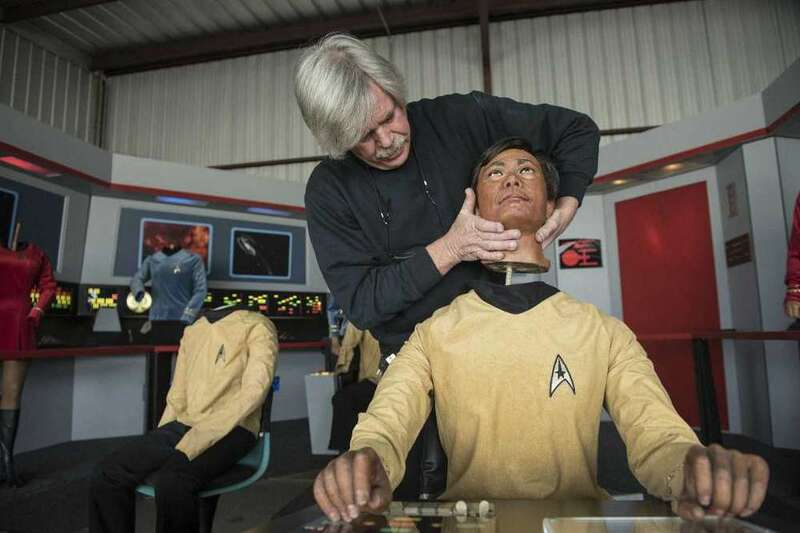 "This is kind of a holy grail of Trek fandom," museum founder Huston Huddleston said in an online museum video. "As far as anyone knew, it was lost," Huddleston said Wednesday of the Trek tableau. "It was either in a rich person's house and never seen again, or it was destroyed...nobody knew." 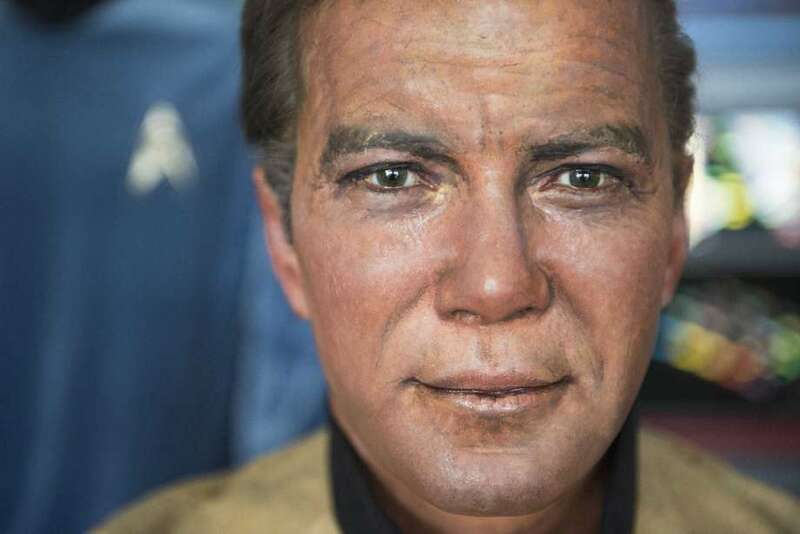 At the museum auction, Steve and Lori Greenthal ponied up $40,000 for Kirk, Spock, Sulu, Uhura, Dr. "Bones" McCoy, Chekov and Engineer Scott. "We took them home and put them in our dining room," Lori told the Orange County Register (http://bit.ly/2nkPdRq). Steve didn't like the way their life-like eyes stared. "We put paper bags over their heads," he said. But the venture didn't make money and the setup was cumbersome. "I've been on an emotional roller coaster," Lori Greenthal told the Register. "I'm happy they're going to be together and on display. It brings such joy to so many people." "Most of them are great shape," Huddleston said. "The only damage is their hair was messed up over the years and also 30 years of really harsh light on them had made their paint fade off." 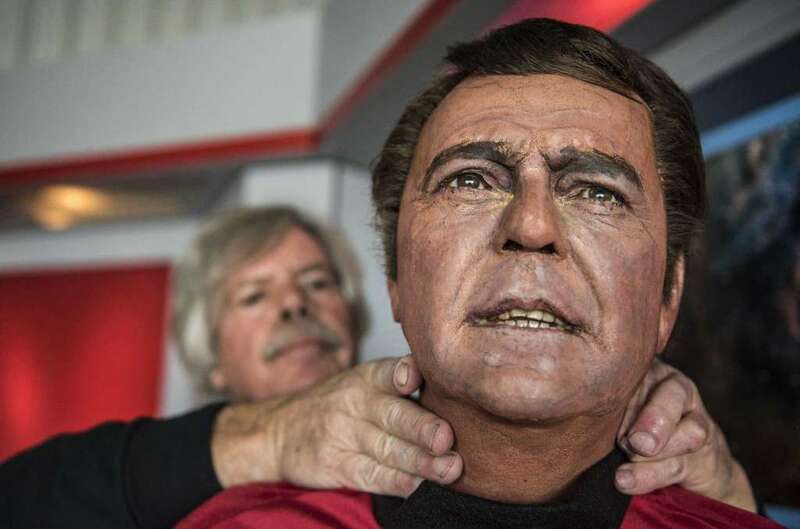 Spock's figure already has been restored. Among other things, that meant removing a "terrible, tacky wig" that someone had stuck on top of the figure's original hair, which was composed of individual strands painstakingly punched into the wax, Huddleston said. Huddleston called the figures "true pieces of art." "I'm living a nerd's dream," he said. Yeah, I thought the same thing. You know who they're supposed to be, but they weren't very well done.